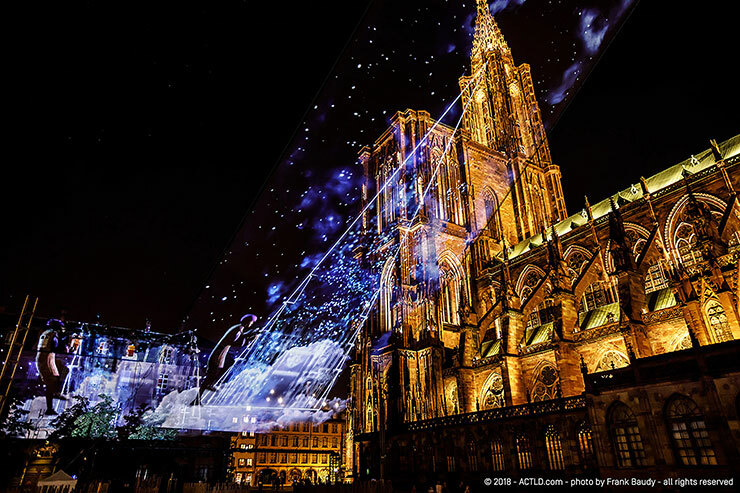 “La flèche dans les nuages” illustrates the construction period of the spire of the Strasbourg Cathedral, between the XIV and XV century. A story of passion following the steps of the great characters who marked that era. At that time, the Place du Château was a gigantic construction site whose goal was to raise the spire above the Cathedral, to position the highest and most beautiful spire of Europe. 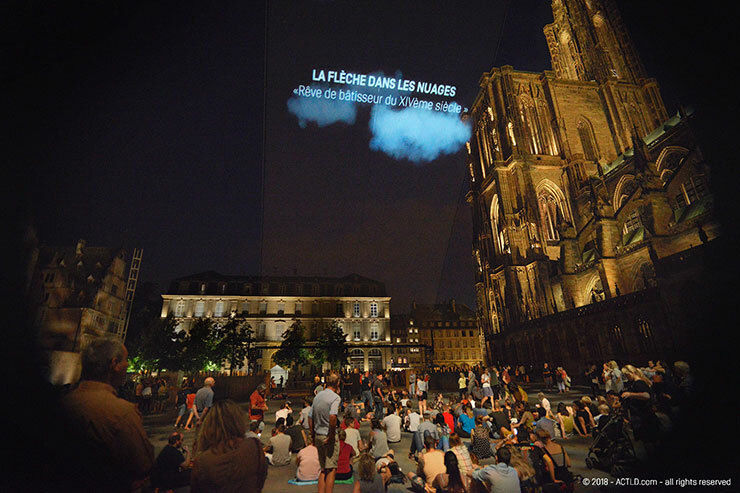 The public had the opportunity to (re)discover the different protagonists of this technical, artistic and human tale. The Spire is one of the most famous and admired architectural masterpieces of this era, assimilated to a miracle. 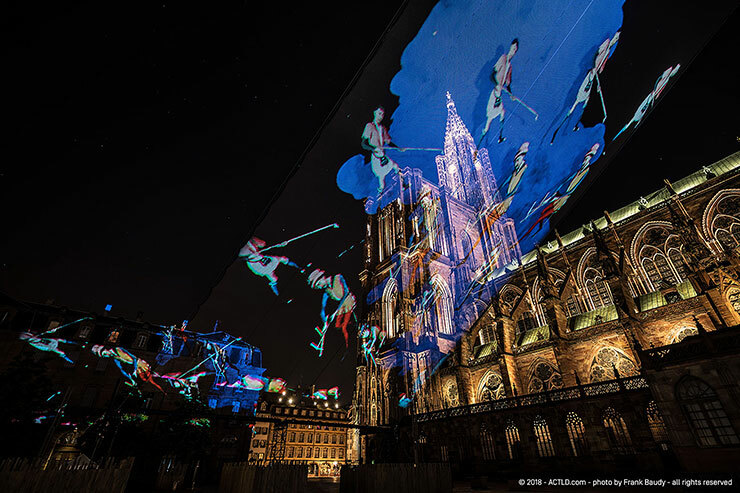 It is the craziness of the Man that constantly pushes the limits of the spirit and the technique that brought the Cathedral to become an architectural icon of the Middle Ages. Ulrich and Hultz are the two masters (Medieval architects) at the origin of the spire. But it is Hultz, surrounded by thousands of builders, who will realize this fabulous project. The Place du Château was the witness of one of the most extraordinary and ambitious projects of that time. 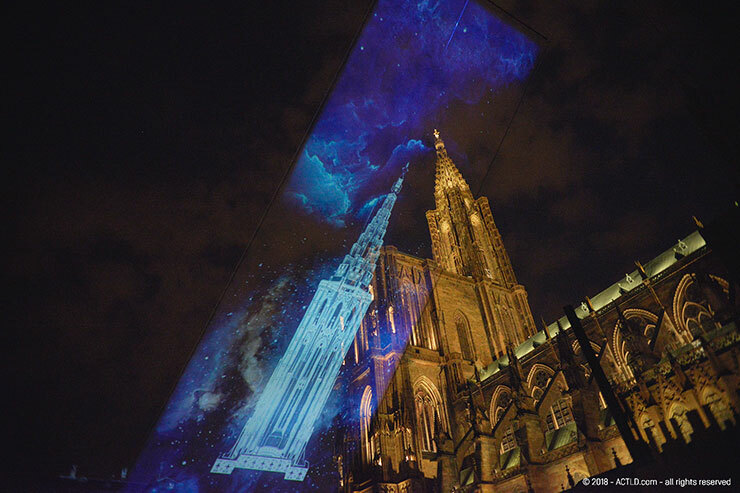 The builders cut the stone, forge the metal, develop the most innovative lifting engines and scaffolding until the extraordinary dream comes true: to raise the Cathedral ever higher until it reaches the sky with the tip of its spire. For this occasion ACTLD designed a brand new concept: the Video Netting. 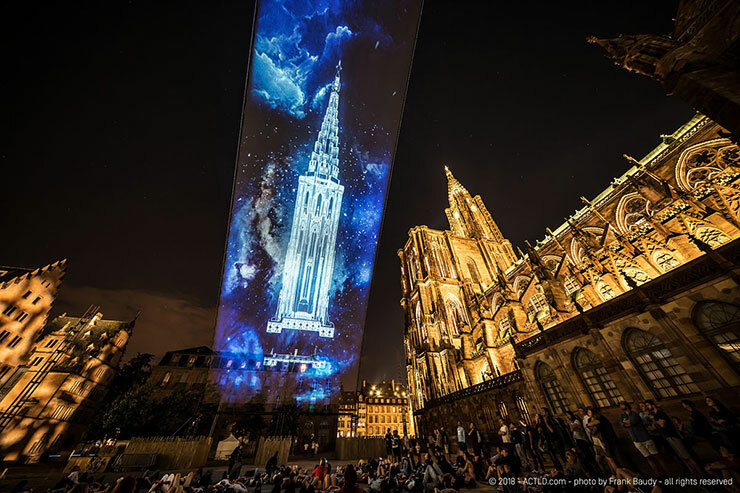 This technique, revealed for the first time in France, allowed us to project “in the middle of the sky”. 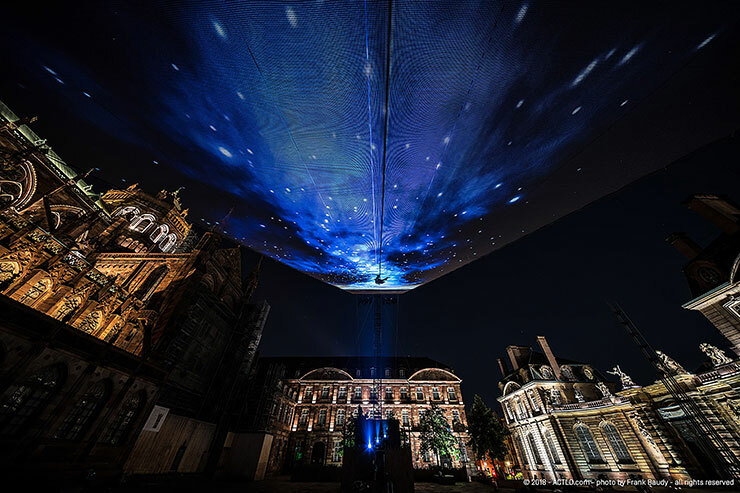 The structure consisting of a light mesh of 400 m. suspended above the Place du Château, enabled us to propose an original immersive experience that could be appreciated from different perspectives. 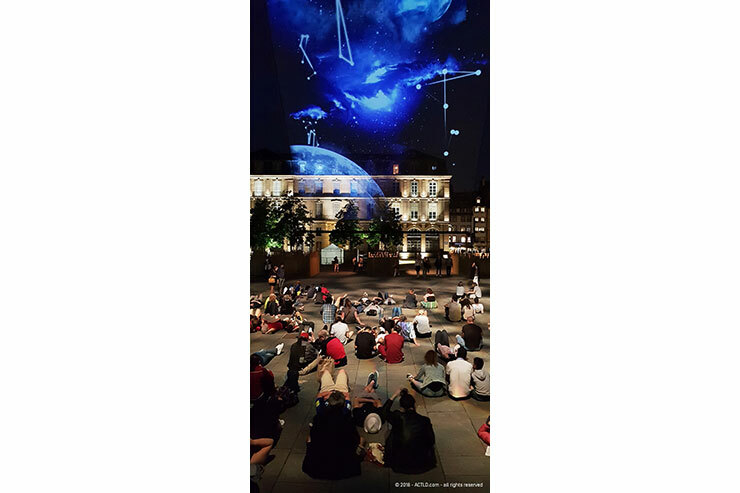 The video netting didn’t interfere with the public lighting, a play of transparency of the net, the projection, colours and the surrounding lighting. 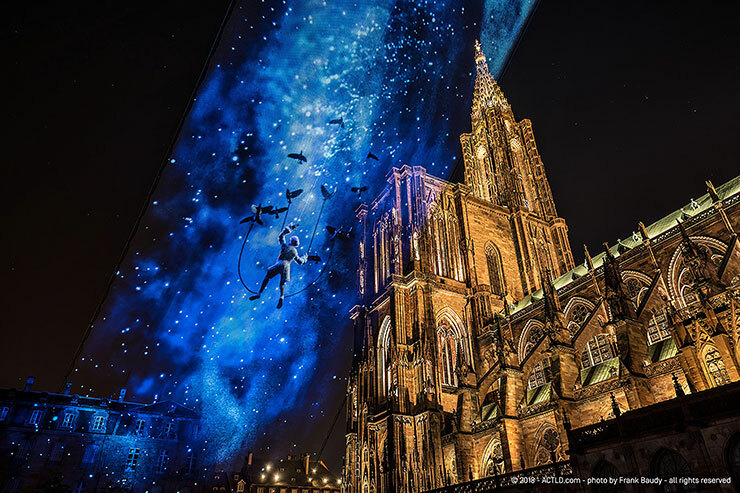 We invited the public to look up to the sky, live an immersive experience, an invitation to a dream, the very one that allowed the Spire of the Strasbourg Cathedral to reach the clouds.